Did you know that your car knows more information that it lets on? 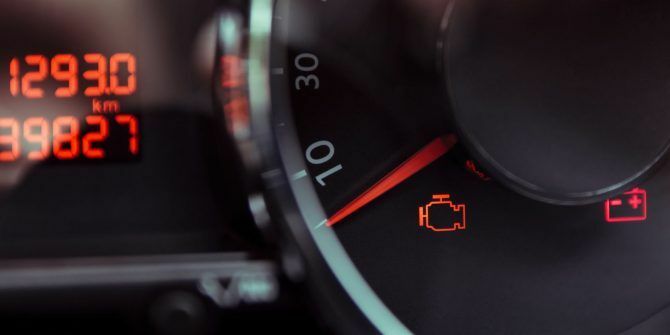 While the basic lights and gauges on your dashboard display information on mileage, fuel, and warnings, your car hides a lot more information. Using an Android device, you can tap into this and learn more about your car How To Monitor Your Car's Performance With Android How To Monitor Your Car's Performance With Android Monitoring tons of information about your car is incredibly easy and cheap with your Android device -- learn about it here! Read More without visiting a mechanic. One of the most frustrating experiences for a motorist is seeing the Check Engine light come on. Because it can signify a huge problem or minor annoyance, it’s important to diagnose the light before it turns into a bigger problem. Thankfully, you can do that with your phone. An Android device with the free Torque app installed. An OBDII (on-board diagnostic) device What Is the OBD-II Port and What Is It Used For? What Is the OBD-II Port and What Is It Used For? If you purchased a car after 1996, it probably has an OBD-II port. But what is it for, and how do you diagnose errors with it? Read More . Every car built after 1996 in the U.S. is required to have an OBD slot. It’s usually located under the steering wheel. While fancy models are expensive, you can pick up a basic one on Amazon for $20 or less. Once you’ve got the device, plug it into the slot in your car and make sure Bluetooth is enabled on your phone. Then open the Torque app and give it a second to connect to your car. If all goes well, you’ll see some basic information about your vehicle. Tap the Menu gear in the bottom-left corner for a list of commands. Then, select Fault Codes. You can tap Show logged faults to see the code for your Check Engine light, or Clear logged fault(s) to clear the light. You probably can’t interpret the code on your own, so perform a Google search to see what it represents. Note that clearing the code isn’t a permanent solution to a problem. If you’ve performed the required maintenance, go ahead and clear the code. It will re-appear after approximately 50 miles if the problem is still present. Torque isn’t a pretty app, but it gets the job done and lets you view and clear the codes without relying on a mechanic. For a less technical way to use Android in your car, check out how you can start using Android Auto right now Android Auto Is Now Available for Everyone: What Can It Do? Android Auto Is Now Available for Everyone: What Can It Do? Android Auto is Google's special app for using your phone in the car, and it's now available on every phone. Here's what you can do with it, and how to set it up. Read More . Have you used your phone to diagnose or clear a Check Engine light? Let us know if you prefer another app for the job in the comments! Explore more about: Android Tips, Automotive Technology.